I work in a private sector. We have a form of income tax returns filled every year but we are not given any information related to this. We have more income from other company employees but they do not fill any income tax form. Please, please give me full information on income tax, how much salary has to be paid if you have a salary. What if the employer has not paid salary at all for a certain period of Financial Year . In that case no Tax is deducted. Salary is pending and since the IT return has been filed , what and on whom the tax liability will come? Employees are innocence in this case! Please reply to my email. Will be thankful. If the due salary is paid in the next financial year then it will be the income of that year. Tax deduction will be done accordingly. It becomes inconvenient for the employee as the extra income shoots up the income tax. what happens in case where employer has deducted the TDS and credited to the central government that too after 2 / 3 Years. Can I get the refund of TDS deducted? What should I do in this case??? Can you please enlighten me in this matter. You have mentioned circulars from CBDT on the subject of TDS been deducted but not reflected in 26AS/ not deposited with GOI. I will be grateful if you could provide letter numbers of some of these circulars. I already have re-deposited the tax of amount Rs1230 on 30th March 2018 as per your calculation. Can you please suggest or Write an article on ” What to do if your EPF is not deposited with the government “. My Income tax had been deducted by my prevous ECompany M/s DuncansAGRO iNDUSTRIES . kOLKATA. They have not deposited the deducted income tax with the Govt and also not given me the FORM 16. I had to pay the tax again for the teay 2016/2017. sir, I am retired employee of Kendriya Vidyalaya Sangthan (Min.of HRD)New Delhi.As per my pay slip regular TDS was deducted from my salary.After my retirement I am receiving that I have not paid the TDS as per my form 16 the PAN number is in correct during 2011-12,2012-13 I approached many times the office of Income Tax and submitted letter regarding the above.Till today no action is taken by employeer and income tax office. Hello Sir My employer have given me form 16 from past 4 years and tax is been deducted from my side as per tax slab. 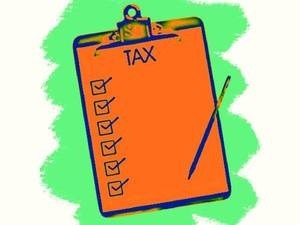 I am worried and what action i can take please guide me as i am getting tax demand from IT department. my employer has retained full salary of Apr-18 and May-18 as against tds deduction for fy 2017-18, but not yet deposited into the deptt nor they issuing form-16. Please Guide how can i file my tax return within the ue date.